How many types of digital marketing are out there? Well, we’re about to tell you in this blog post. 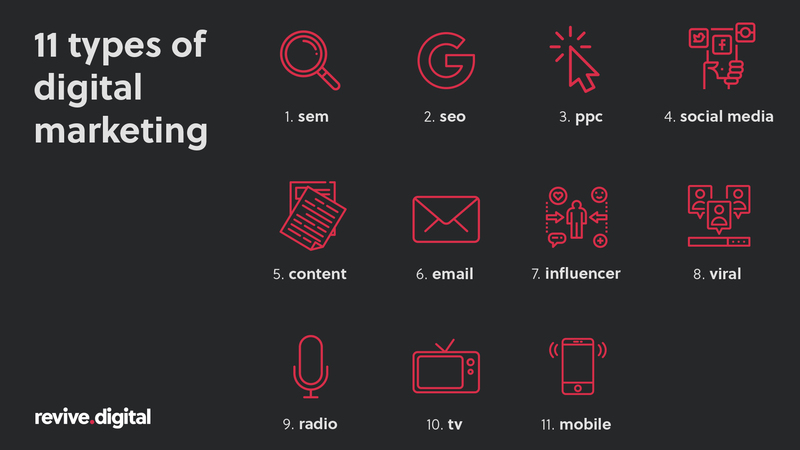 Read on to learn the basics of the 11 types of digital marketing. In our many years of work with internet-y things, we’ve seen the massive growth in digital marketing. 20 or so years ago, you’d be a fool for investing in digital marketing. But now, you’re a fool if you aren’t. More and more businesses are pouring their marketing budgets into digital. It’s considered cheaper in comparison to print marketing and advertising on TV and radio. Digital marketing campaigns are easier to set up, run, monitor and the results are trackable and measurable in a way that non-digital marketing and advertising can’t offer. Put simply, we are truly in the digital age. But for the business taking their first step into the world of digital marketing, it can seem a little daunting. All the terminology and technical nonsense can easily make you feel like a deer in headlights – and that’s not ideal. The core problem that prevents most companies from investing in digital marketing, is that they don’t know what they need. And some digital marketing agencies would take advantage of that, offering you the ‘full works’. Investing in digital marketing is a big decision, but you don’t need to pay for the whole shebang. Sometimes it’s a little PPC work to shift some seasonal products that are on sale, or some social media marketing to grow your following online. Whatever your needs, when it comes to investing in digital marketing, you need to find the right service for your goals. Luckily for you, the Revive team have put our noggins together to come up with a no-nonsense list of the different types of digital marketing – so, you can better understand what to invest in. Whilst we specialise in digital marketing, and we’re a little biased, by no means should you invest all your money into a solely digital budget. Print marketing is still an effective way to generate some leads, but it’s diminished over the years. Digital marketing is taking over, but the ‘old’ ways of marketing have not been completely forgotten. However, be aware that print marketing is becoming less and less relevant, but not entirely obsolete. With everything moving towards becoming digital, you can see why. Magazines are read on tablet devices and adverts appear on our social feeds, so print is on the way out. It may be slowly disappearing, but it will completely happen eventually. So, when it comes to looking at your marketing budget, maybe consider devoting more money to digital as opposed to print. And we’re going to go through each of these categories in detail, so you can fully understand what you need to be investing in. Whilst the biggest businesses in the world have their finger in every metaphorical pie, a smaller business can benefit from just using a few services. It’s all dependent on what kind of business you are, and what your goals are too. Don’t be fooled into thinking you need every service offered above – unless your goals line up with all of the services on offer. We’ve got an infographic listing all 11 types, just below! SEM or Search Engine Marketing is generally considered to cover both PPC and SEO work. Bringing in traffic to your website via search engines is no easy task, that’s why SEO and PPC work to look into bringing said traffic in through both paid and unpaid means. PPC paid advertising, and SEO, which works on bringing in organic traffic. This doesn’t mean that SEO work is free, but we’ll get into the details below. Keywords lay at the core foundations of any search engine marketing strategy. Firstly you need to identify the keywords that are relevant to your business’s services or products. The keywords need to be ones that your prospective customers are highly likely to use when making a search query. One way easy way to get started with keywords is by using Google Keyword Planner. Through keyword research and ranking analysis, we determine how you fair against your competitors for keyword rankings. We then work on optimising your website and the content on it for search engines, as well as building quality links both to and from your website, in order to allow your website to be crawled efficiently. Your content is crawled by search engine robots, or crawlers, to collate the data and index it in search engine archives. Then, when a relevant search term is used, Google will return your site as a result. The ranking determines how relevant your site is to a user’s search term. The goal is to be in the coveted top 3 spots. SEO is an on-going strategy, and the longer you invest in it, the more results it yields. It’s not a quick fix. PPC, or Pay-per-click, is a form of advertising on search engines, like Google and Bing. It’s a way of moving to the top of search engine results pages by paid means. It’s called PPC because your ad account is charged every time one of your adverts is clicked. The cost of each ad, or CPC (cost per click), depends on the quality score of your website and the selected keyword’s competition. PPC campaigns can be a short-term solution, and many use it to shift products or seasonal deals, as a way to boost revenue. There are around 4 spots for Ads on Google, so getting your website in the for a selected keyword can be challenging. SEO work is about your ranking being ‘earned’, but PPC your ranking on the first page is bought. By bidding on a selected keyword or search term, you can make your way into the 4 ad spaces on offer by Google. 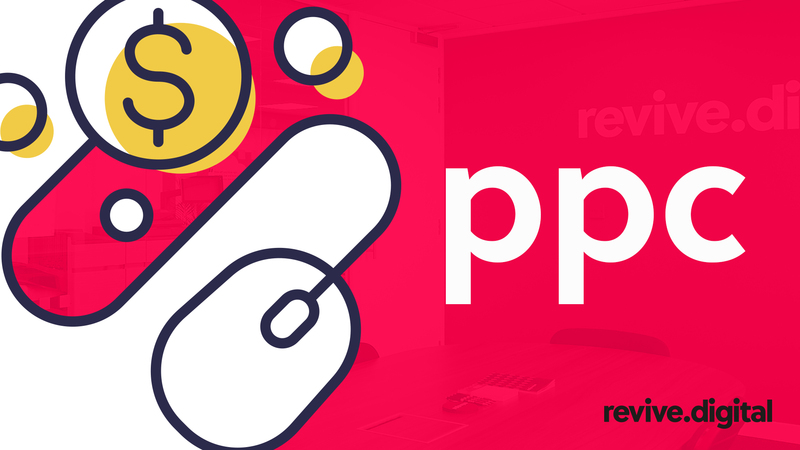 Through tools like Google AdWords, PPC pros work on finding keywords that your website will perform well, and dependent on the competition, CPC is determined. Through bidding on keywords, against competitors, your ad appears in relevant search results and will charge you if a user clicks on your ad. Social media marketing is the process of working on marketing through, you guessed it, social media. With social platforms like Facebook, Twitter and Instagram (to name a few) ever growing, businesses online need to invest in social media marketing in order to grow their following and reach a whole new pool of potential customers. Dependent on your business type, there’s a social network out there for you. All businesses would do well to be on Facebook, but if you specialise in B2B, LinkedIn is the one for you. If you’re a ‘visual business’, then Instagram is the ideal. We could go on and on, but you get the point. You should be on social media if you aren’t, but how do you market on social media? Through like campaigns and targeted ads, the goal is to grow your following on social media in the hopes of gaining more business through these platforms. Sites like Facebook collect data about your likes and interests, as well as personal factors like age, location etc. All of this information is available to Facebook business users to create targeted ads to appear on a select demographic’s news feed. These ads can be used to promote products, services or entice users to ‘like’ your page, keeping them up to date with your posts. SMM can be both a long-term or short-term investment. Whilst maintaining social media is key, using targeted ads via the service doesn’t have to continue forever – otherwise, it could cost a lot. This style of marketing is a little different than the previous ones we’ve mentioned. It’s not so much about directly marketing products and services to customers, but rather creating enriching and valuable content that enhances customer experience. Some of the biggest brands in the world will actively post blogs, images and videos relating to their business that are entertaining and informative too. It’s what establishes your business as a brand and essentially what makes your customers like you more. It’s like promoting your brand without the aim to an incentive to sell anything behind your posts – simply providing information that is both enriching and engaging. Through posting blogs, videos and images, you build up a loyal consumer base, that visit your site for content that serves a purpose. Whether that be informative content about your business or industry knowledge you share, your customers will appreciate the effort behind every blog or video you post. It’s about listening to your customer needs and producing what they want. If your content is share-worthy enough, it can help drive in traffic and potentially more business. Content marketing should be a long-term investment, and like SEO needs to be worked on constantly in order to yield results. Another form of marketing is email marketing, and you’ve guessed it, it involves email. It’s a form of direct marketing which sends information, offers, blogs etc. directly to your mailing list’s inboxes. Through a sea of emails, your marketing email will appear, but the trick is getting it read. Yes, it may emerge alongside 100s emails, and if you can’t create an email that’s eye-catching, then it will be lost. Luckily there are email marketing tools and agencies (like us), that can assist you. Email marketing is a great way of reaching your customers, interacting with them after purchases or even sending them a newsletter. Be warned, sending unsolicited emails will land you a place in the spam box. So, make sure you’ve gathered your mailing list by your own means and not from a third-party company. They need to be your customers or have opted into receiving your mail. By using your existing mailing list, you can create a prospective list of recipients for your mail. Whether it be for remarketing or to update them on a new blog post, you need to send the right email to the right people. Once you’ve decided on the mail you’re going to send, using email marketing tools or a digital marketing agency *cough*, us, *cough* you can design an on-brand email to send out to your mailing list. This can bring in traffic to your site, or even help you sell some products with unique discount codes. With the analytic tools, you can monitor things like opening rate and even how many clicked through on a link. Email marketing is usually considered short term but can be used as long-term. If you’re sending out unique discount codes for a brief time, it can be a short-term fix to boost sales. Or if you choose to send blogs or newsletters, to boost your website traffic, it can be used long term. Just don’t send email after email every day – people don’t like that. Both influencer and affiliate marketing utilise those in a position of ‘power’, usually social media influencers or industry experts etc. This is to assist you in marketing a product or service to their audience. It’s become more and more popular in recent years, through sites like Instagram and YouTube, where companies will enlist a well-known influencer, to promote their products or services on their social pages or affiliate websites. These collaborations can involve giving away unique discount codes, sponsored blog posts or prize draws etc. for the influencer’s audience, to build some buzz around your brand and business. This investment cycle entails finding someone with a large following. This can be on social or in an industry and then approaching them with a collaboration. Most will require payment or a cut of the sales that come from their audience purchasing their products or services. Then, they’ll create posts, blogs or videos, to ‘show off’ your collaboration and hopefully bring in more sales for your business. It’s about finding the right influencer for your business. Influencer or Affiliate marketing can be a short-term campaign, to help bring in more sales or increase website traffic. Influencers won’t usually continuously promote for longer than a week or less. This is because of their following disengages (they get bored of seeing your product on their ‘idols’ feed). You know those viral videos you see online? Well, some companies use those as a smart form of marketing. Whether it’s teaming up with a popular viral content creator, popular social media influencer or promoting it themselves, the idea of viral marketing is to create something shareworthy – by making it funny, on trend and topical. Viral videos or images will indirectly promote a product or service (be it the product being included or the service being used or simply featured), then the hopes are that this is shared around social media. The basics of viral marketing are very simple. You create a piece of content that is so compelling that those who engage with it will want to share it with their friends and family instantly. This is a great option for b2c businesses, and there’s a lot of influencers and content creators out there who can mix influencer marketing with viral marketing in order to maximise the reach of your viral content. However, do be aware that viral marketing is one of the most difficult types of digital marketing, but it isn’t impossible to achieve. A good first step to make is by researching what has worked in the past and what has failed. If you create a piece of content that goes viral then not only will you see an increase in ROI, but you will also generate an increase in brand awareness. Together with consumers associating positive values and viral content with your business. Whilst radio used to be solely based on radio waves, it’s now all digital. Which means, radio advertising now falls into the realm of digital marketing (welcome to the club radio!). Radio ads are a great way to get your business or brand heard, and it’s never been easier to do with digital advertising. You can now use targeted radio ads for different locations. So, whether you’re targeting a local or national consumer base, your radio advertising can be heard by the right people. There’s also the option to advertise through Spotify, for non-premium users. The ads they will hear can be targeted towards them based on their age, location, gender and more – because of the account information they provide to Spotify. Look into targeted location ads if you’re a local business, and if you’re a national one, look into Spotify advertising to directly target a select demographic. Setting up Spotify ads was once quite a long-winded task, but now the leading audio streaming platform has an incredibly user-friendly self-service ad platform. Spotify Ad Studio also includes a handy voice-over option where you type in what you want the ad to sound like, and they use their own in-house voice actors to create your ad. Radio isn’t the only thing to move over to digital. There are loads of options for those that want to advertise on television without paying expensive ad slot costs on prime time TV. However, even with the digital shift and social fragmentation of Television Advertising, some still consider the 30-second ad as being a vital advertising tool in the next few years. Marketers are navigating this marketing channel by combining personal data about consumers, together with utilising new delivery methods for Television Advertising, like addressable ads. They are also placing Television Advertising at the very center of cross-channel marketing campaigns. So, if a consumer sees an ad on TV, they will also see it on their digital devices reinforcing the ad’s message. Additionally, television ads can now be targeted directly to locations or demographics through things like Virgin or Sky TV. But, it’s not just on your TV. If you use on demand or catch up TV, adverts can also appear midway through your stream (like on All 4). It allows you to have targeted ads for selected audiences. While Television Advertising remains as a major component of the overall marketing mix, it is essential to adapt and pivot your strategy based on your audience’s demographic and where they consume video content. Not only does Television Advertising reach a rapidly growing generation of consumers who are choosing to cut the cord from traditional TV. But, the disruptive evolution of data-targeting capabilities now means that you can personalise your TV ads for audiences on the big screen. By taking advantage of this video intelligence means that you are able to target your defined target audience with more TV ads that are specifically catered to their personal interests and at times that will make the most impact. Mobile advertising is something that spans across all forms of digital marketing we’ve mentioned above. Whether it’s mobile social ads, mobile search ads or even mobile TV and radio ads, every form of digital marketing we’ve mentioned can be transferred to mobile. Businesses all over the world are shifting more of their advertising budget into mobile because consumers spend more time on their mobile devices more than any other device. You can target mobile ads by audience segments or by using geofencing. Geofencing is one of the most popular tactics as it is based on a consumer’s physical location. This is a lazor-focused strategy as you are able to target mobiles ads to a clearly defined and relevant audience. You need to carefully think about how to adapt your broader advertiser strategy and optimise it for the mobile device environment. You need to consider that you have a much smaller screen size to work with and that intrusive interruptions tend to be less appreciated on mobile than any other device. Once you have prepared everything, you are ready to launch your ad to the mobile device spectrum and begin testing conversions. You can collect data by using key metrics when running your mobile ad campaign and then invest even more time in perfecting your strategy once you know that it is working. Knowing the fine details will help you pivot and generate a mobile ad campaign that has a high conversion rate. You can collect and analyse this data through sources such as Google Analytics. Make Mobile Work for You! There you have it. That’s our list! Hopefully, now you understand a little more about the types of digital marketing. Which means, you’ll be able to find the right service for you. If you have any questions about digital marketing, you can speak to our team of experts.We’ll devise a winning marketing strategy to help with your goals! Below, you’ll find a slideshow the on the 11 types of digital marketing. If you find this informative and helpful, feel free to share it with your colleagues, friends or family! Search Engine Land – What Is Search Marketing? Screaming Frog – What Is SEO? Search Engine Land – What Is SEO / Search Engine Optimization? 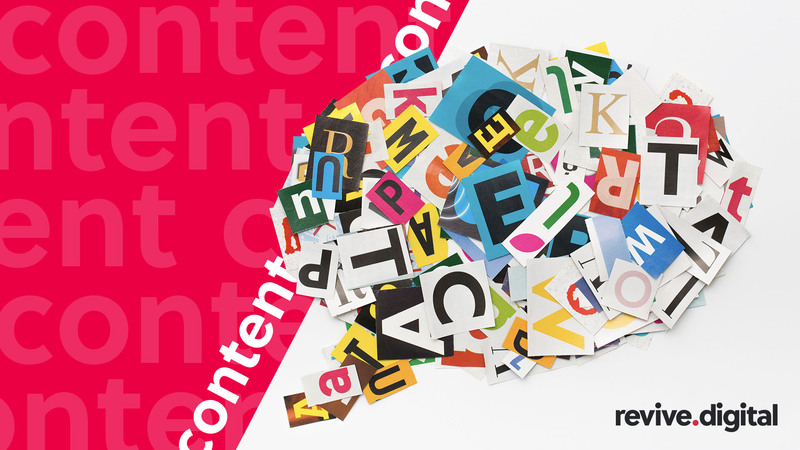 Content Marketing Institute – What Is Content Marketing?